Command-line interface is the basic foundation of all the operating systems. GNU/Linux, Unix, Mac OSX, Free BSD, and even MS Windows has it. But unless you’re like an old-school system admin, most don’t use it that much in Windows these days I suppose. But when it comes to GNU/Linux, it’s extremely newbie friendly and we have all these beautiful looking desktops and all that, but because of its strong “connection” with the OS, lot of people still use the command-line. And personally I too use the command-line a lot while running other applications (on Unity) but it can be hectic while switching between the Terminal window and other applications. If you have this issue too then one solution is to use a drop-down Terminal emulator. Because with a drop-down Terminal emulator, no matter what application window that you’re currently working with, you can just press a shortcut key and the Terminal window will open up on your screen and when you’re done, press the same keyboard shortcut and it’ll be hidden. It’s a hassle-free way to deal with the Terminal. Now there are a lot these type of Terminal emulators for Ubuntu but since they actually run from your OS background, you’d be bettor off with something that doesn’t consume a lot of your system resources. In than sense, for its simplicity and awesome usability the drop down terminal emulator known as “Tilda” is a pretty excellent little utility that’s worth trying. *. 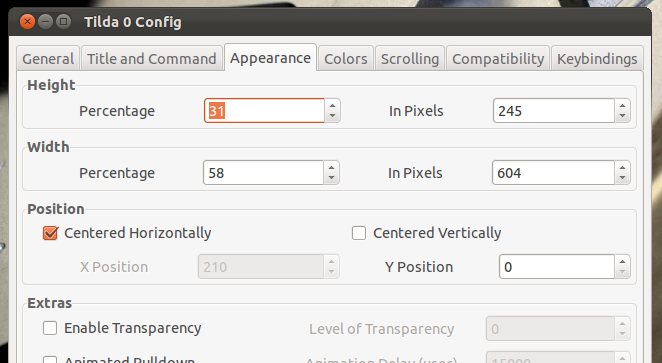 It’s really simple but heck, it lets you change a lot of its settings. *. Change the fonts, enable “antialiasing”, allow bold text and change colors etc. *. Supports “double buffering” (faster Terminal emulation). *. 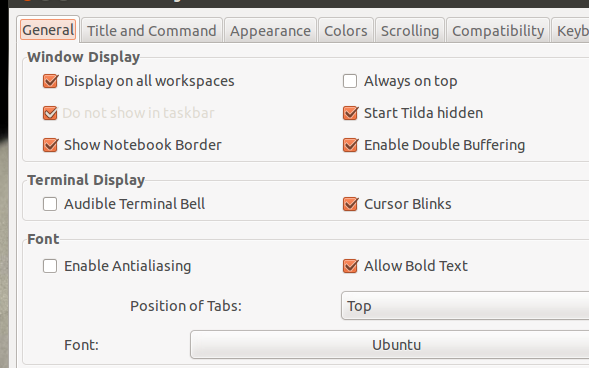 Change the primary shortcut key that opens/shows “Tilda”. *. Change the output window size and where it opens up on the desktop. *. Add a background image. *. Show/Hide scrolls and their locations (left, right). *. Opens URLs with your web browser. *. 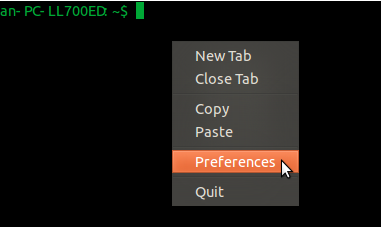 You can set a custom command to be launched instead of the Terminal window. *. Shows itself in all “workspaces” (can be disabled). *. Can “copy” and “paste” commands just like with other emulators. You can install Tilda in Ubuntu 12.04 Precise Pangolin, 11.10 Oneiric Ocelot, 11.04 Natty Narwhal, 10.10 and 10.04 by typing the below command in your Terminal window.